The most enjoyable aspect of the story is the unflinching glimpse at life for ordinary folk in Western Europe in the 16th century: starvation, disease and ignorance all under the capricious glare of the church and nobility. There are a couple of mysteries here that maybe could have unfolded with less complication. And, overall, the story was not as crisp as it could have been and seemed to have a muted focus. Nevertheless, I enjoyed the history and the suspense. The narration was good and certainly did not distract from the story. Overall a 3.75 and worth a credit. 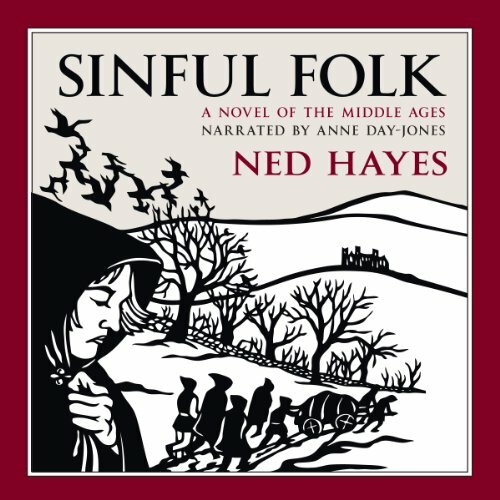 Sinful Folk ranks in the top echelon of all audiobooks I have listened to over the past 20 years. The story of medieval peasants seeking justice for their sons' death is compelling and relating their journey through Mear makes it even more so. I cannot praise the narrator, Anne Day-Jones, highly enough. She was able to portray each of the characters effortlessly and her facile switching to flawless French when called for by the text was remarkable. I read and listened to both the Kindle and Audible versions through Immersion Reading and highly recommend either or both. I generally do not reread books but this may be the only Audible book I will actually listen to again. This is one of my favorites. If you are a fan of Karen Maitland, you will probably like this book as much as I did. The characters were well developed, and the author really captures the time period. There's something in this book for every fan of historical fiction. I wouldn't recommend this to most readers, but fans of historical novels might want to take a listen. It's quite dark and sad, as we imagine life in 1377 would be. Would you be willing to try another book from Ned Hayes? Why or why not? Absolutely not. It wouldn't be made into a movie because there isn't enough of a plot, in my opinion.